decided to do something different for me , never tried one of these before . it will be mainly OOB , with just the wooden deck for extra's . could someone help me colours please , I only really like tamiya or MM paint's . is anyone able to help with the colour chart please . Oh boy! Roll out the barrel of worms! There are two parts to this question. First, translating those colors into other brands. Second, what was the color scheme for real on the era you are building. Which, or both, is your main concern? Whether or not Ashey is correct, this gives you an idea of the discussion. I think the consensus is that BB-39 was in Measure 1 Dark Gray until June 1941. 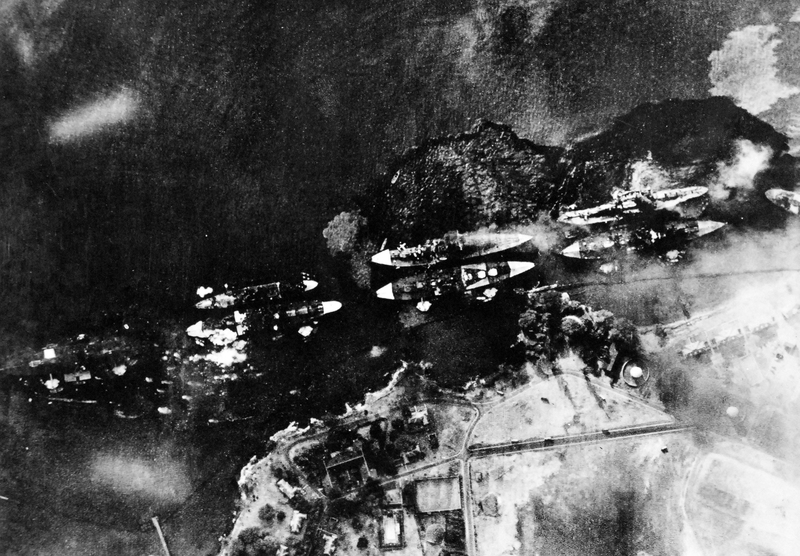 At the time of the attack the fleet was in the process of transforming colors to blues. Where Arizona stood in that process remains the debate. My own best guess from the study by others is that the ship was a blue, or combination of blues, with light gray above the stacks. You are about to open old wounds. Kidding 'bout the "wounds" but throw out that recommended color chart IMHO. You won't find a match across all brand names. These charts are not Official! A couple of your listed paints do not seem to have an "exact match". I hope some other folks have worked with the Colors mentioned and have better recommendations. P.S. GM and I were writting at the same time. I am in the "Blue" boat group for the Attack. If you are are doing a Late 1941 Arizona it is now beleved to have been 5-S sea blue sides with 5-L light grey top, black boot topping, antifouling red bottom and a dark grey on metal deck. MM Gunship Gray is a match for deck gray. The tops of turrets # 1, 2, & 4 were red. MM was making the 5-S, 5-L and Gunship Grey. Red Hull color- your choice. Just for reference, here is probably the last overhead photo of her taken before she took the catastrophic hit. That's a Japanese photo, Stik? I never knew that. It looks like it was shot from ground level, on Ford Island. Or are you kiddin' around? Not related to interpreting the color callouts, but how is this kit? 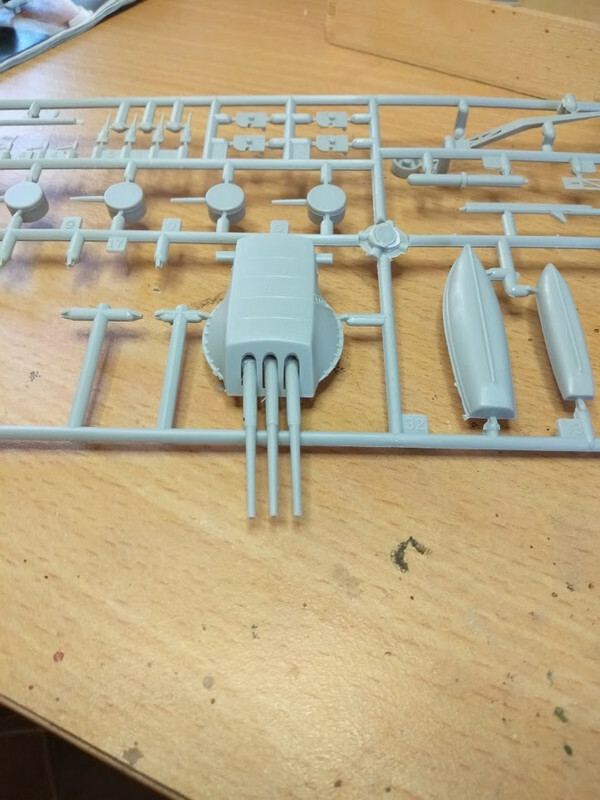 I have the 1/700 scale version, and I wonder if HobbyBoss just pantographed the 1/700 sprues up to 1/350, or if it's a different, and better, more detailed tooling than the smaller kit. I've been building the kit to convert it into the Pennsylvania circa 1935. I was fired up for the project when I started, but as I got into it, I lost interest, because it's not a very good kit. It's DNA goes back to Revell's Arizona, and it suffers from soft details and poor engineering. Both scales models come from Trumpeter companies, the bigger from Banner and the smaller from Mini Hobby Models. I have the bigger model in the stash because it was onsale cheap, but I've never had any real desire to put any time on it. Old Trumpeter kits are not usually very nice. I would probably build the 1/700 Dragon kit if I ever built a Pennsylvania. It's all my fault; I was repeating a stupid joke about how color wasn't invented until the late 19th Century because there is no photographic evidence to prove it. My bad. thankyou gentlemen , the reason I asked is it's a round trip of about 400 odd k's to my LHS . you have given me something to think about , as I have never done a modern ship , even a 1915 one is modern to what I have been building . stik , love that cartoon , reminded me of my old man . I've dry fitted the hull together , the red antifouling doesn't look too bad . but I think I will still paint it . 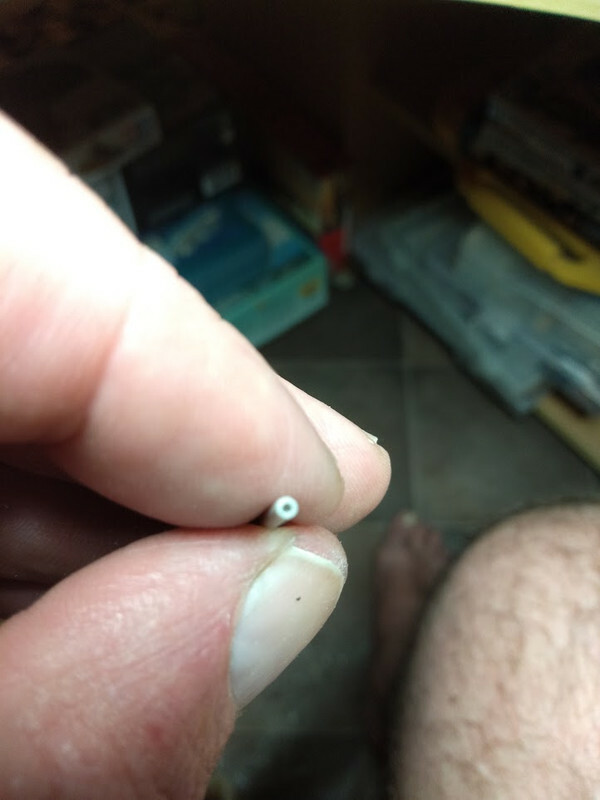 drilled out the barrels with a .7mm bit , the holes actually look bigger in real life . I painted my clients model MM Sea Blue modified with a few drops of white .The Blue right out of the bottle is too dark . T.B. 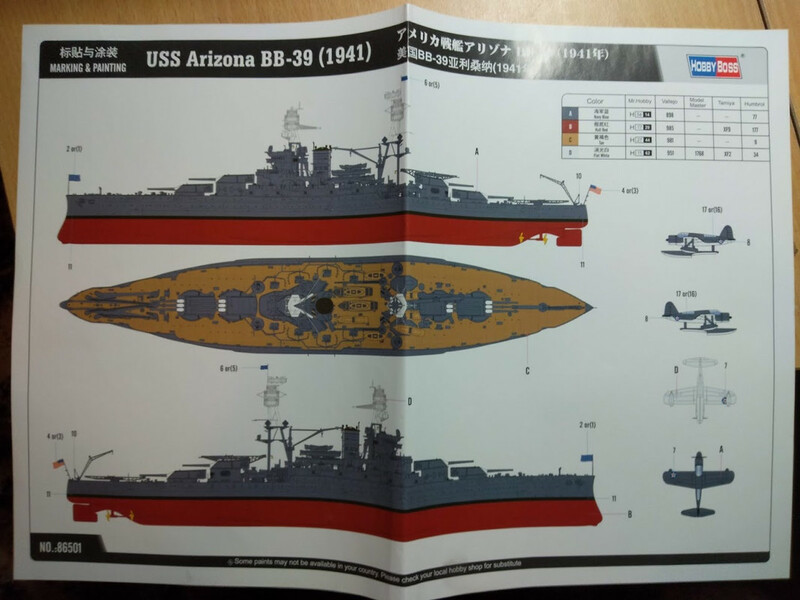 If you’re building Arizona in her final fit as at Pearl Harbor, you’ll need to modify the kit. The kit has the boom masts on her forward fighting top, which had been replaced with a lattice type by the time of the attack. The kit has her 1930’s masts. That's what PE is for . Steve, you really do want to paint the bottom. Hey Steve, I will be watching. Looks like an interesting build. I don't usually use AK Interactive paints, but this set seems to fulfill my naval paint requirements. I've considered purchasing this set as well. I like the fact that they are labeled with the historic Naval specs (such as 5-N Navy Blue and the like). They are fairly easy to use. They can be airbrushed straight from the bottle, or painted by brush. Tamiya is my go-to brand, but I find it easier to use these paints instead of trying to match shades. I should mention the downsides. They're expensive. Their coverage ability requires multiple coats. thank's for the well wish's guy's . 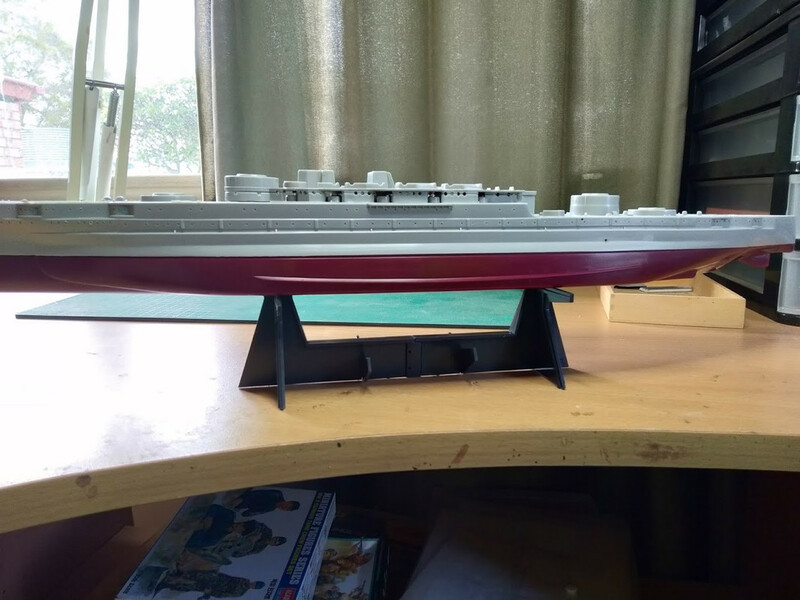 GM , I found a PE fret for this model and ordered it , from eduard , also am going to get some tamiya XF9 hull red . michael , sorry about the victory I will going back to it , but needed a rest , as I was nearly 2 years on what I had done . baxter , cheer's mate , what have you been up to lately ? stik , thank's for the photo mate , think I am going to need a bit more info from you in the future mate . ridleusmc , will look into those colour's as well my friend . Steve, I’ll be happy to help, however I can. 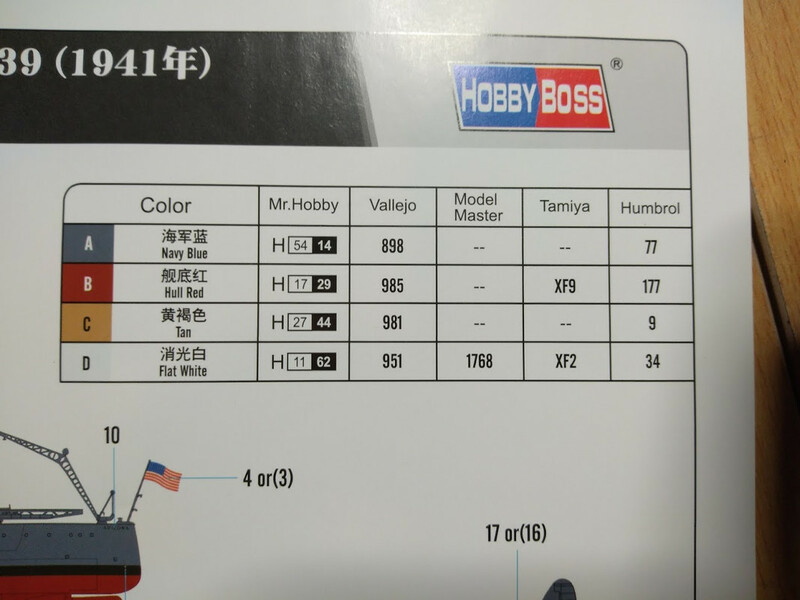 One suggestion, if you’re going to use Tamiya Hull Red, that is actually the IJN shade and is darker and more brown than the USN shade Get yourself some Tamiya Flat Red to add and lighten it up to the USN color. I remember reading that Banner derived its kit from Revell's. The engineering certainly suggests it, especially in the way the decks are assembled with the horizontal seams. I'll find the article again and link it back here. As for building a Pennsy, I want her in her pre-war configuration, mid-Thirties. That's why I picked up the HobbyBoss 1/700 kit. That, and that it was cheap, ten bucks. I remember reading that. There were other tells, I think the A/B turret spacing was comparably wrong on both. 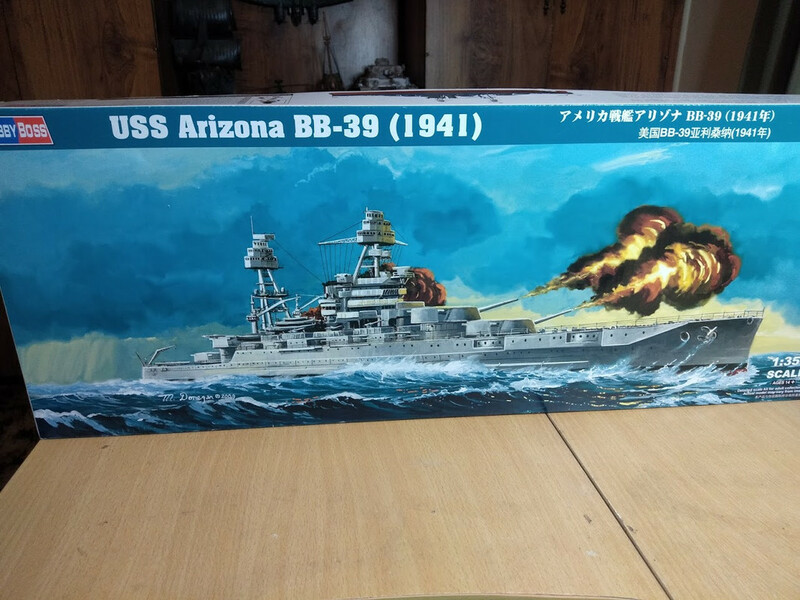 I have the 1/350 Arizona in the stash. Looked it over and it reminded me strongly of the old Revell kit, and relatively uncomplicated. nino , I take it you mean these turret's and no1 is forward most , do you know why no 3 was left grey ? is tamiya XF 7 ok for the red . ?